100th anniversary of modern zipper! Let me celebrate the 100th anniversary of the morden-zipper's birth! In this very month 100 years ago, the Sundback's zipper was born. 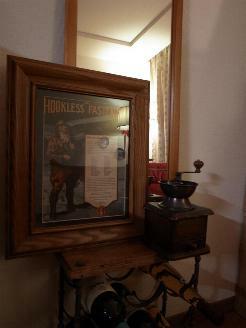 Here is HOOKLESS No.2, invented by Sundback a century ago. The first sample model of HOOKLESS No.2 was appeared in December in 1913. I also respect Sundback, of course. I'd like to give the great engineer bunch of my admiration! Without him, we could not see the zippers as what they are today. Actually, the invention came to produce one year later. but were first sold in October the same year. Every part except for the slider had already reached perfection. 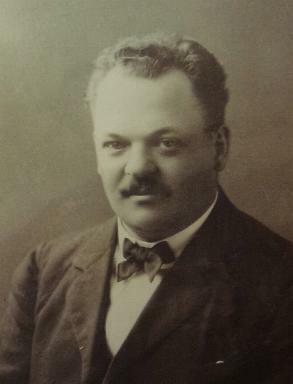 It shows how Sundback created high-quality product 100 years ago. At that time, zippers were sometimes called "tear-fastener "
as they focused on only closing. you should tear it down with your both hands. There was not an idea to use a slider when pulling a zipper down. HOOKLESS No.2 in the above is quite valuable. This is the only zipper that I confirmed first hand in my long-time research. 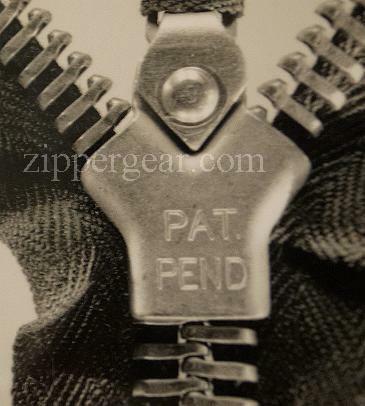 Before ordering, we are glad that you've checked ZIPPER GEAR is written in Japanese. on the latter one third or 80 pages on it. specifications as well as old advertisements. We believe that English-written titles and captions will also help you "read". because of their disadvantage of the language. Even if you were not satisfied with the content, we gladly accept return of the book. We believe ZIPPER GEAR will excite you. Now, here is the ordering procedure. Please send us the following sheet filled in blanks. Thank you for your patience and cooporation with the classical way. We'll send you back a confirmation mail within 24 hours. Hi, I'm Kei Yamada, the person in charge of shipping. so I try to write about some new info and what he is like recently. He came back to Japan from LA in the early Feb.
had already had FULL GEAR. Most of them decided to purchase ZIPPER GEAR with just one look at the cover. Zipperman was at a loss　and busy showing the inside of the book at the event. 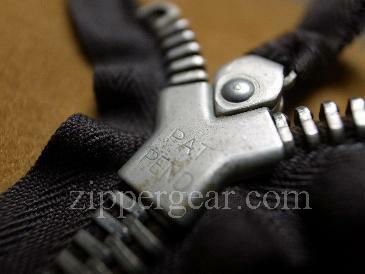 ZIPPER GEAR has as many as 80 only-Japanese pages. He had spent a lot of his energy letting them see turning the pages. as they couldn't get to know what were written. he tried in vain to make a research out of California. He is having hectic days after coming back to Japan. and show his new book (and of course talk about it). He feels very sorry for that. I must be exhausted, but still feel excited. to a lot of people, especially people overseas. when they want to order the book. Also, they have to pay a higher shipping cost. people were able to check the book directly . a volume of the Japanese text. on the latter one third of it. even though a lot of pictures, specifications and old ads attract them. I knew that titles and captions written in English also help them "read". and could't stop turning the pages. ...But I was still nervous. that they didn't care what the Japanese text read. I believe ZIPPER GEAR had a good reputation. Of course the Japanese part contains very important information. I think I have to translate it, but not now. shipping ZIPPER GEAR book overseas. when you order ZIPPER GEAR book(s). The book ZIPPER GEAR has finally been published! Now, I'm heading to LA to join the event "inspiration" on Feb. 9. I'll bring the actual books there and exhibit them at a corner of John Gluckow's booth. why don't you stop by the event venue and take a glance at the book directly. You can purchase it at USD 220.
out of the heavy snow forecast in Tokyo on my flight day.